It’s rather rare that I bake a cake during the Summer, I typically stick to baking cupcakes and no bake treats that don’t take long to make or heat up the kitchen. But one exception is this Chocolate Zucchini Cake; super moist from the zucchini, filled with a little crunch from the nuts and a luscious chocolate flavor that can’t be beat! 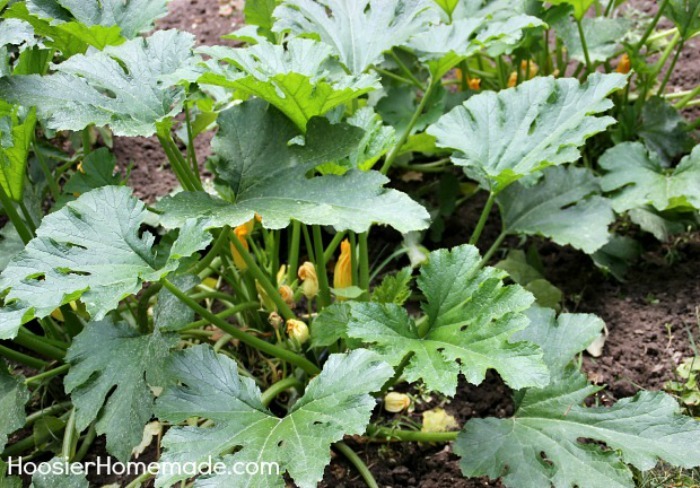 Zucchini is one of those amazing vegetables, especially if you grow them yourself. They typically produce lots and lots of zucchini, and if you don’t watch them closely, you will have zucchini the size of baseball bats. I bet you know what I’m talking about. But actually, in my opinion, those are the best for baking. 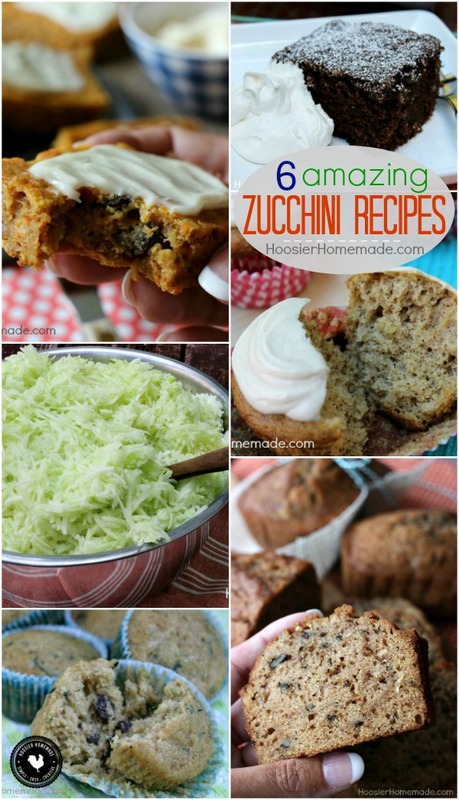 Just one huge zucchini will yield lots of cups of zucchini to freeze or use right away in a Zucchini Cake Recipe. We also love Fried Zucchini, but it’s better to use small zucchini for that. My Mom used to fry the large zucchini, and although I loved them, I remember them having lots of seeds. 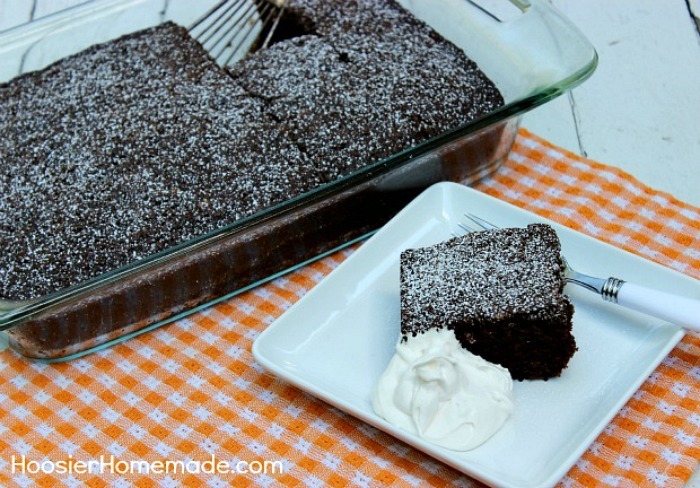 This recipe for Chocolate Zucchini Cake was one I found many moons ago in a newspaper article written by an Amish cook, you know they have the best recipes ever! It’s perfect to serve just about any time – potlucks, picnics, cook outs, weeknight dinner or even at a dinner party. I like dusting it with a little powdered sugar and serving a dollop of Cool Whip or whipping cream on the side. And the cake is actually better the second or even third day – if it last that long! We only planted 2 Zucchini plants this year in the garden, but you can see how much produce we will get from those plants. There are lots of Zucchini blossoms too. I’ve heard that they are good fried, have you ever tried them? A moist, decedent cake that is packed with flavor. You can peel the zucchini or leave the peel on, either way is fine. Then roughly chop and grate in the food processor. I want to bake this cake with my students but in order to go further I was wondering if I could bake it in a jellyroll pan and just decrease the baking time? What do you think? Hi Katie, yes I think it would be fine. I haven’t baked it that way, but definitely just check the time. 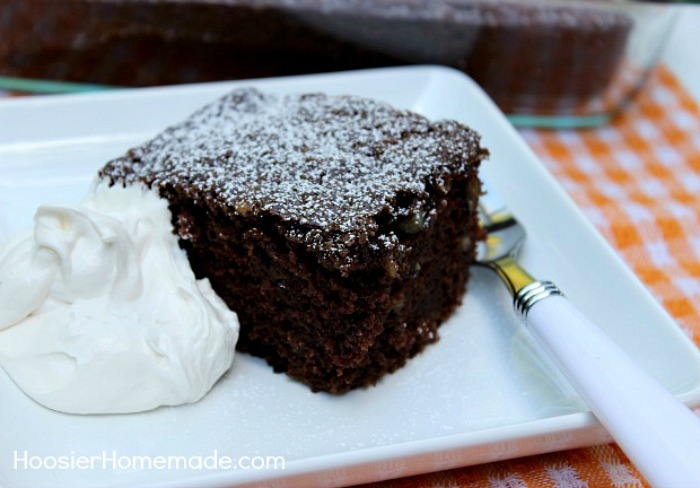 My mother-in-law used to make a delicious chocolate zucchini cake that we all loved. She passed away a few years ago, and I definitely want to try this. It would be great to recreate some wonderful memories! This seems like a lot of sugar…can it be cut back to a cup+ a little more? @linda, I suppose you could cut back a little, it’s not a sweet cake at all though. The zucchini absorbs the sugar. @Designer Cake Lady, Thank you so much for visiting! Please stop by again soon. 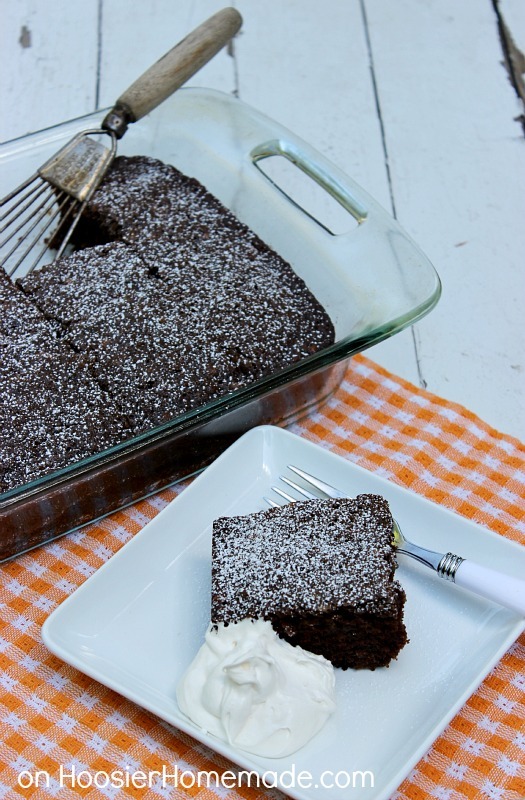 Strangely enough, I’ve lost my favorite chocolate zucchini cake recipe too. I’ll have to try this one, it sure sounds like a winner! I was wondering could u put a cream cheese frosting on the cake. I`ve never tried a chocolate one before. I made some zucchini chocolate-chip muffins that were just so-so. But I’m about to head out to the garden and see what grew during our week-long absence. I suspect I’ll see some zucchini, and now I know just what I’ll be doing with them! I had this recipe years ago but misplaced it long ago. 🙁 So glad to find it again! Thanks! I’ve made this before and I love it. So moist and yummy! This looks delicious! I’m hoping someone will share their bounty of zucchini and I will give it a try! Thanks so much for sharing this recipe with Food on Fridays. I hope you have a wonderful weekend. I think you could, it has lots of zucchini in it. Thanks for visiting! this one is quite similar to my grandma’s recipe! 🙂 Love it. Most people can’t tell there is zucchini in it.